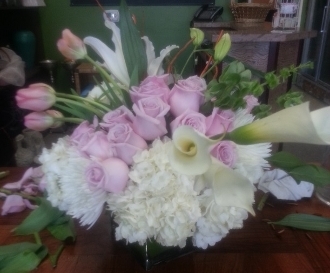 Fresh roses, tulips, calla lily, lilies and hydrangea mixed. Fresh flowers from our local flower shop in Los Angeles. Same day flower delivery.